Is the “Hair Of The Dog” myth true? Can drinking a Bloody Mary really cure a hangover? Hair Of The Dog, the term comes from an old folk remedy for rabies by placing hair from the dog that bites one applied to the wound will prevent evil consequences. In more modern times the theory goes that in order to overcome the hangover caused by drinking the night before, you take a drink the next morning. So is it true? Can you seriously feel better after drinking a Bloody Mary “Hair Of The Dog” the next morning? It is said that a shot of hard liquor can dull the worst parts of a hangover so that you can get moving around again. As soon as you finish your shot, start scrambling eggs, potatoes and make some toast to soak up the liquor. Why order a Bloody Mary with your meal? This might help because the spices will most likely sharpen most of your senses, while the vodka takes the edge off. The vitamin-packed tomato juice just might, although not necessarily proven, help you metabolize whatever alcohol is still in your system. Why a Bloody Mary? There may be some truths to the myth. 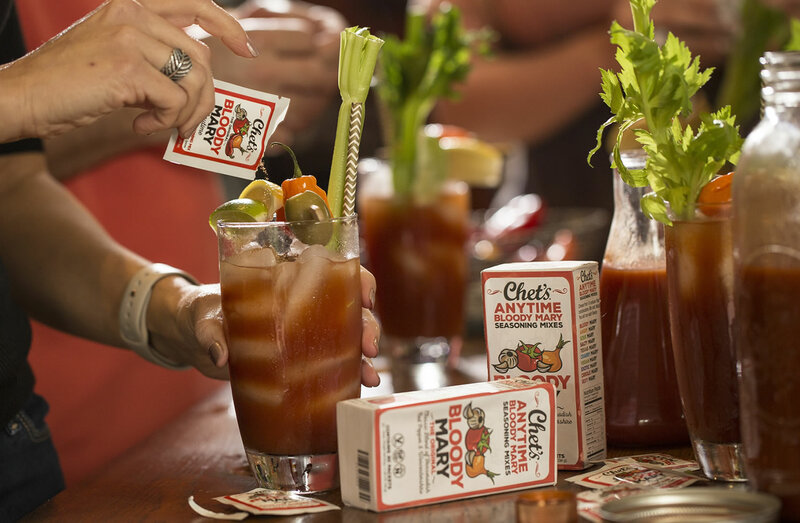 At Chet’s Anytime Bloody Mary, we believe there are 3 reasons why there maybe truth to the myth. 1. Bloody Marys contain alcohol and alcohol begins acting on the chemical receptors inside the brain to increase the feelings of pleasure. 2. The tomato based juice you use to make a Bloody Mary has a higher sodium content which will help you restore the electrolytes you lost as a result of dehydration from overindulgence of alcohol the night before. 3. Bloody Marys are traditionally an easy morning drink and taste awesome! 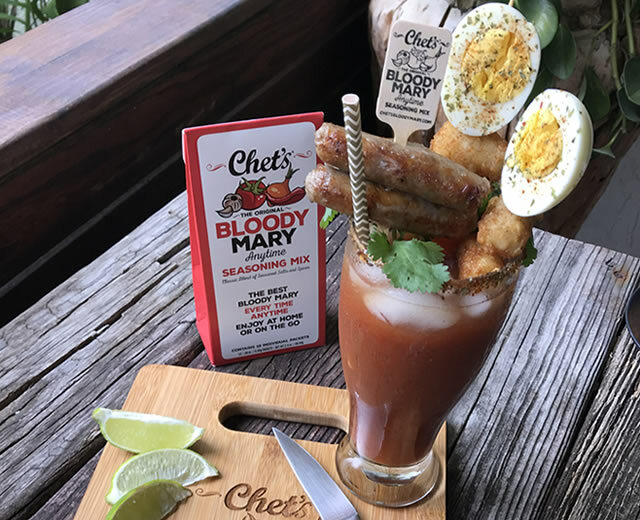 So when you are looking for that morning cure, the first thing you should think of is Chet’s Anytime Bloody Mary Seasoning Mix! Simply: Tear It, Pour It, Stir It… and you’re done.